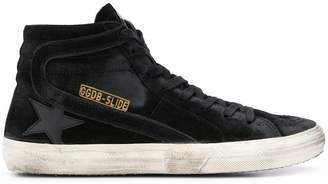 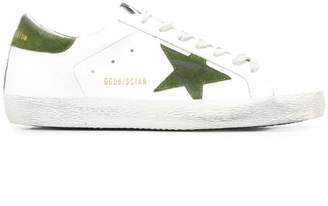 What better way to spice up your wardrobe than by purchasing a signature pair of Golden Goose sneakers. 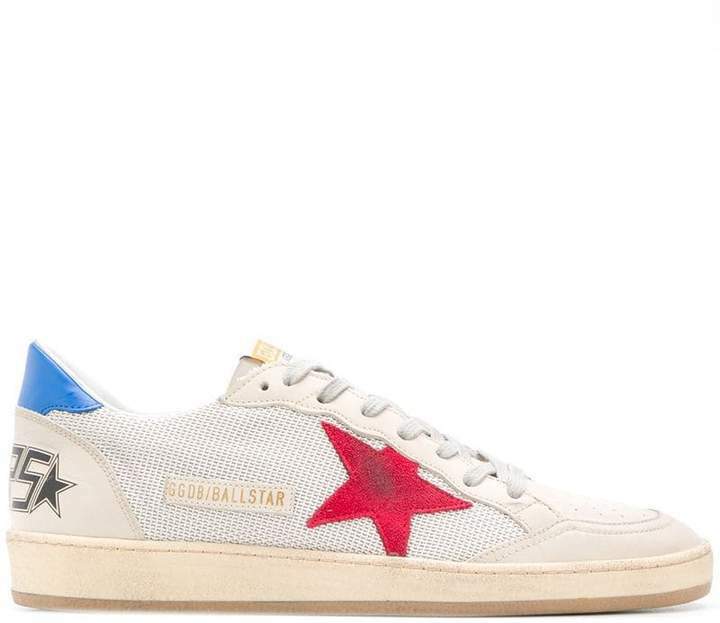 Crafted from white leather and canvas, these Ballstar sneakers feature red and blue trims, a flat rubber sole, a round toe and a lace-up front fastening. 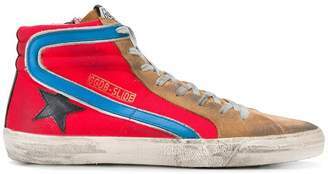 It's complete with the label's signature vintage finish.